MATHABATHA – I HAVEN’T SEEN THE R3M FROM VBS! OVER ten municipalities including Fetakgomo Tubatse and Giyani will be put under administration. These ten municipalities invested about R1.2 billion in VBS. “Polokwane, Makhuduthamaga, Elias Motsoaledi, Makhado, Ephraim Mogale, Collins Chabane, Vhembe District, Greater-Giyani, Lepelle-Nkumpi and Fetakgomo Tubatse,” Limpopo premier spokesperson Kenny Mathivha said. 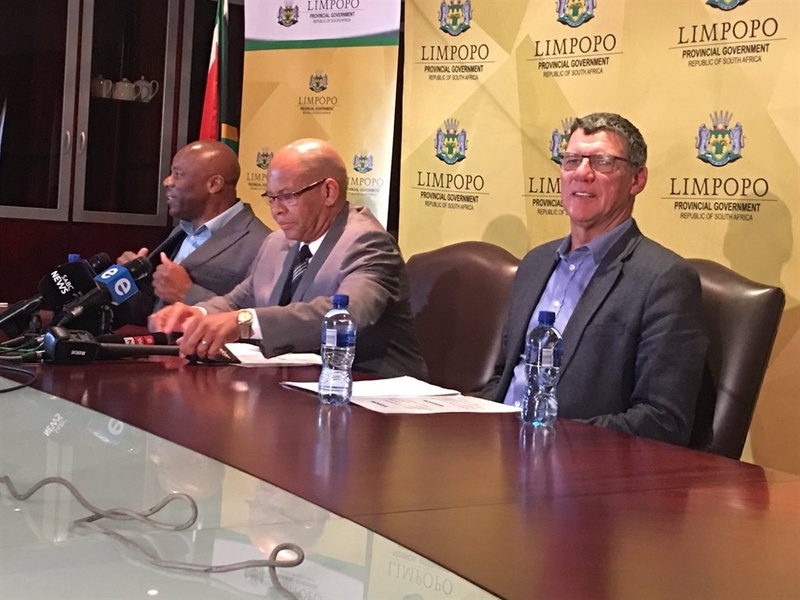 Limpopo Premier Stan Mathabatha said the provincial government is committed in the fight against corruption whenever and wherever it is found. He said provincial government has taken the necessary steps to take action against those who have not complied with the necessary prescripts of the law. “Even before the ‘Great Bank Heist’ report by Advocate Terry Motau, the provincial government had initiated a Forensic Report through its Treasury Department. The final report should be available at the end of this month and will give us necessary direction with regard to further steps on this Venda Building Society VBS saga,”Mathabatha said. Addressing the media on Wednesday afternoon Mathabatha gave an update on the provincial investigation into VBS hesit. He said the ANC in Limpopo has been instructed by Luthuli House that they can’t take any action against their colleagues who are implicated in the VBS Bank Heist. “They will be given an instruction by Luthuli House once the Integrity Commission sends a detailed report,” Mathabatha said. Mathabatha says several Municipalities in the province have taken decisions to suspend implicated individuals. He added that they are not protecting any politician, it’s just not yet time for them. Mathabatha said, he as the Central Committee Member of the SACP hasn’t seen any donation of R3 Million from VBS to the SACP. ”I am however not saying this didn’t take place, I just haven’t seen it from the audits that were sent to us,” he said.